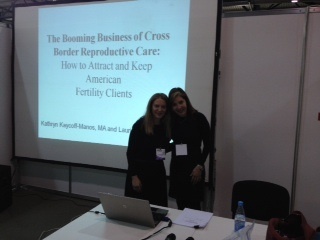 Global IVF’s Kathryn Kaycoff-Manos and Lauri Berger de Brito shared their expertise today at Healthy Nation Ukraine. Presenting on “The Booming Business of Cross Border Reproductive Care: How to Attract and Keep American Fertility Clients,” Kathryn and Lauri spoke about the rapidly growing field of fertility travel and the unique needs of American clients. 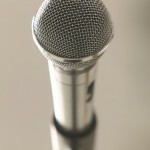 They look forward to continuing the conversation with fertility clinics worldwide. 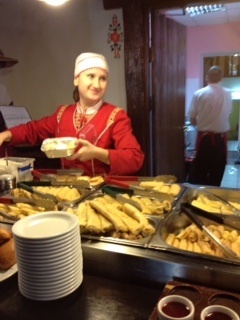 After the presentation, Kathryn and Lauri ate at a “great little cafeteria-type place” for lunch. Borscht and blintes, yum!